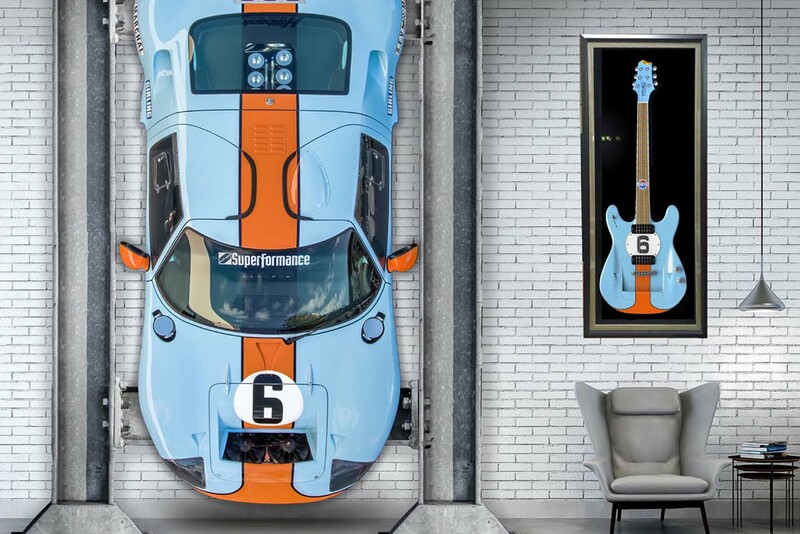 As the 50th anniversary of the iconic GT40 car approached in 2016, Safir GT40 Spares was looking to enhance their marketing presence as they represent the trademark of the most winning cars in North American racing history. The focus was the four years the GT40 car won at Le Mans. Ford built, raced and won with a GT40 MKII in 1966 and 1967 and Gulf racing won with the GT40 MKI at Le Mans in 1968 and 1969. Although selling more genuine GT40 cars was not part of the goals, representing this iconic brand during the four 5oth anniversaries was a focus. 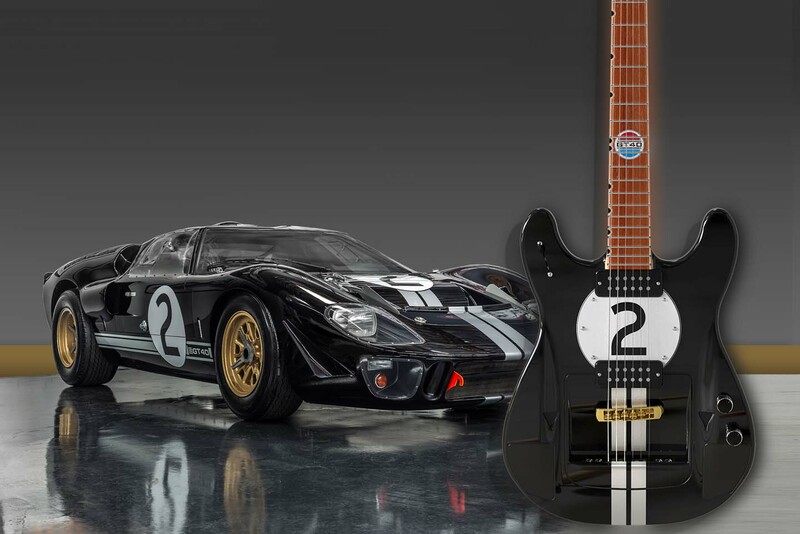 The proposal given to Safir GT40 Spares was the design and development of a unique limited edition guitar which reflected features of the iconic car. Included with the guitar design, was sourcing and management of production, marketing such as a new website, photography, video, and growth of social media networks. The build of the guitar paralleled the network build of interest in the project. 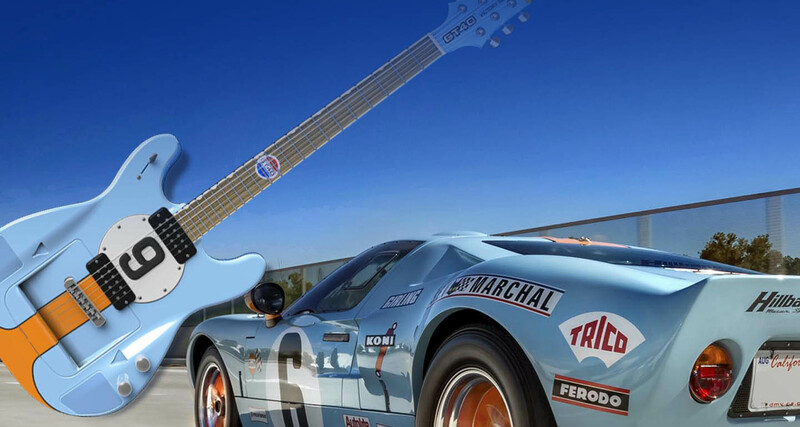 In large social media networks, the GT40 guitar has been the top of the list of likes as well as inredible comments. 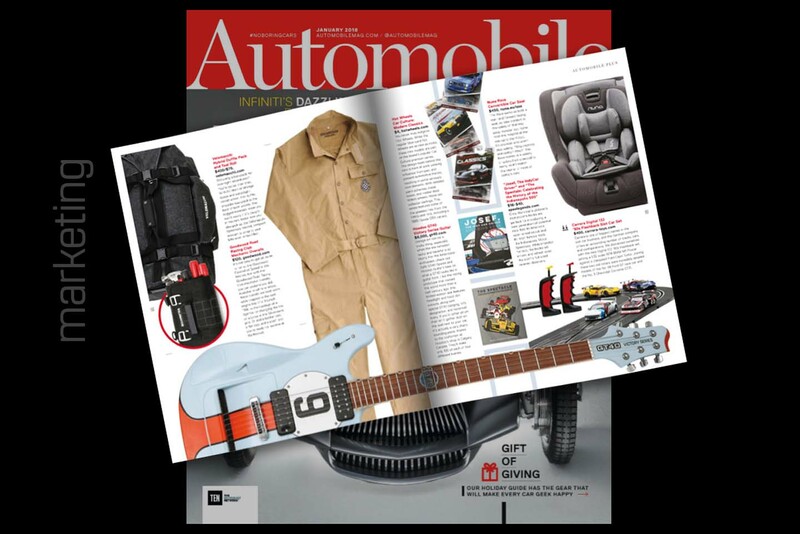 The Enthisasts Network "Automobile Magazine" included the guitar in the Holiday Gift Guide and the guitar's press release secured a spot in WIKI under Ford GT40. The website has had great reviews as well as the connections to sports car companies around the world. The guitar itself is an amazing quality instrument but also a stunning commemorative product that secures it's name as an official GT40. Client: Safir GT40 Spares Ltd.
Below are a selection of images representing the digital media, web, development and marketing for the GT40 brand. Having in-house audio, video, photography, animation and design mixed with our marketing and management abilities produced a product that is outstanding and getting recognition around the world. 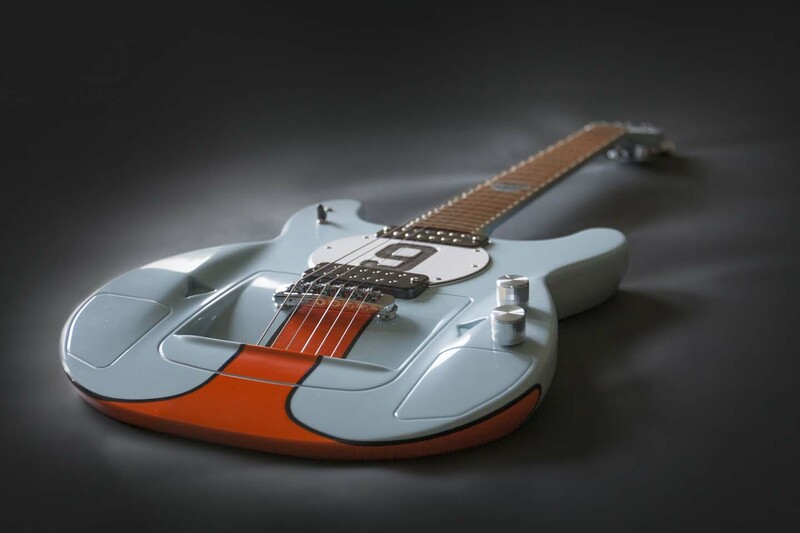 Concept design included 2D and 3D designs for the guitar, incorporating features from the revered race cars of the 60's. 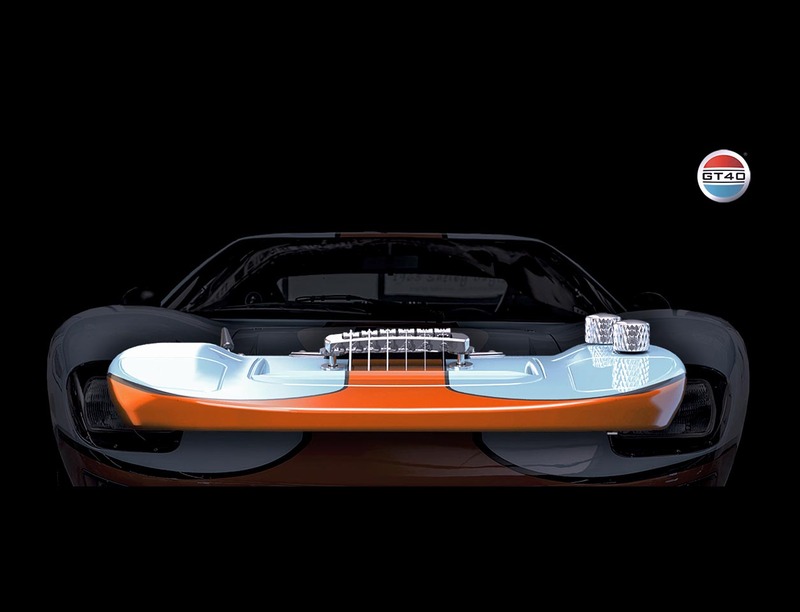 Four cars needed to be represented in guitar form from the winners at Le Mans from 1966-1969. Logo design and branding was the start to commemorating the 50th anniversary of this iconic brand in the racing world. Print products developed included certificates of authenticity, hang tags, envelopes and promo materials. 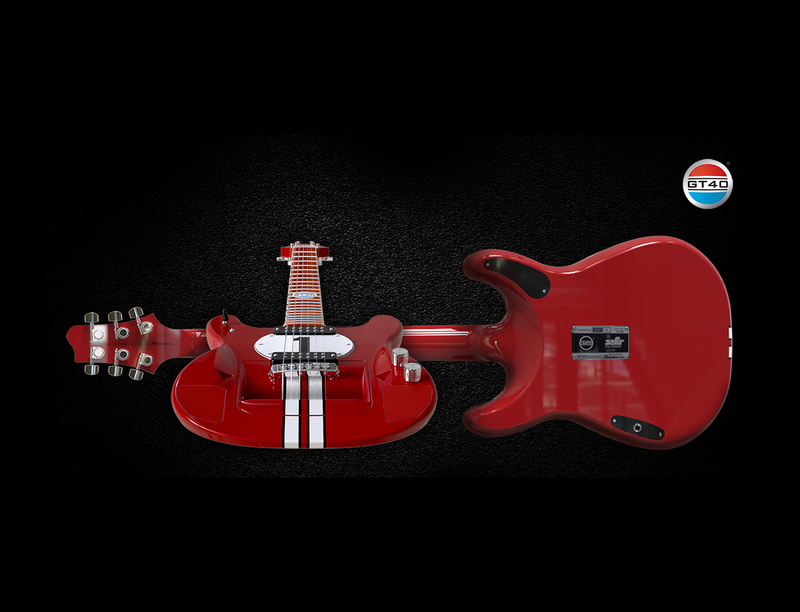 Our team designed specific parts for the guitar including metal chassis plates, steering wheel aluminum rings and acrylic logos. Using embroidery designs, we developed products from guitar straps to jackets. From on location recording of 180 degree audio to sound trials of the new guitar to actual voiceover for the product, our recording studio was a valuable asset to the marketing plan. 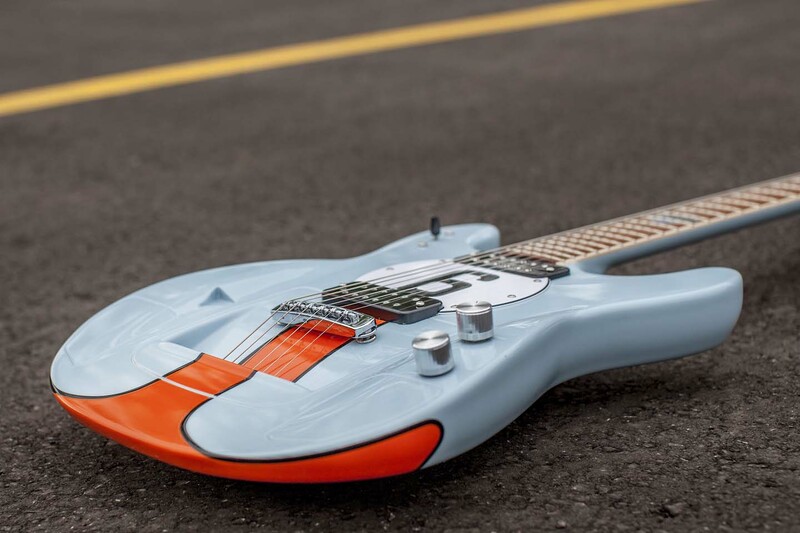 Both studio video and photography as well as on location photo and video shoots have produced the marketing for the limited edition GT40 Victory Series guitars.